“Vampire Evolution,” the third chapter of Martha’s Children, my current serial, is now up. While bound in his coffin, Ned makes a friend. But in the topsy-turvey world of being a vampire, he soon regrets it. Yes, I’m posting the chapter Thursday night instead of Friday morning. We have house guests, and I’m not sure when I’ll get to my laptop Friday morning. Hence the early posting. Nevertheless, I expect chapter four will be posted Friday next week. If you’ve not been following the story, you can start here. It sounds like a joke, but why wouldn’t evolution apply to vampires? Or to any other supernatural creatures in our world? So long as they live, compete with other beings, and reproduce, evolution should operate. Martha’s own concept of vampire evolution, as you can see, makes the relationship between vampires and humans resemble that between disease micro-organisms and humans. Deadly diseases that quickly kill have to spread rapidly, or else they’ll die out. A disease that can’t spread rapidly has to survive in its hosts for some time, and typically establishes an equilibrium with its host, with some cost to the host. 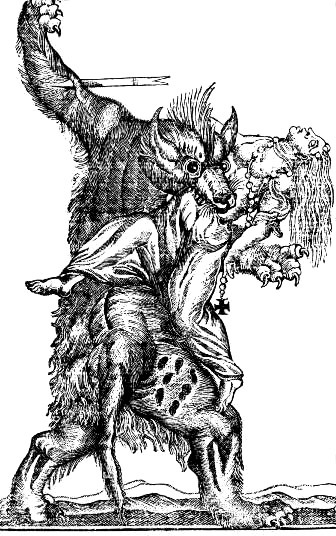 Werewolves are similar to vampires in several ways: superior qualities as a predator, reproduce through attacking humans, as vulnerable as humans a fair percentage of the time. Also like vampires, there are specific means to attack and kill them in their enhanced state. One presumes that evolution operated to make them hard to detect while in their normal human state. 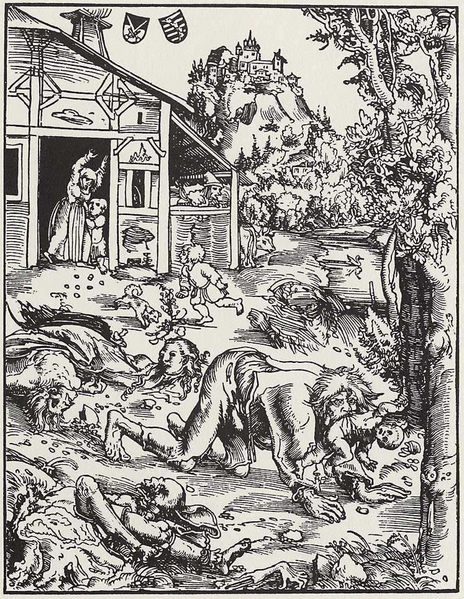 Given their nature, I would expect they would be more common in rural areas than urban ones, where wolves would be too easy to spot, and hence werewolves would probably never achieve a population density as high as vampires. Still, there are quite a few stories about urban vampires. Perhaps they thrive in suburban neighborhoods or in the warehouse districts of a city. A read through almost any grimoire will demonstrate that the invocations offered summon demons whose skills and powers can help people. 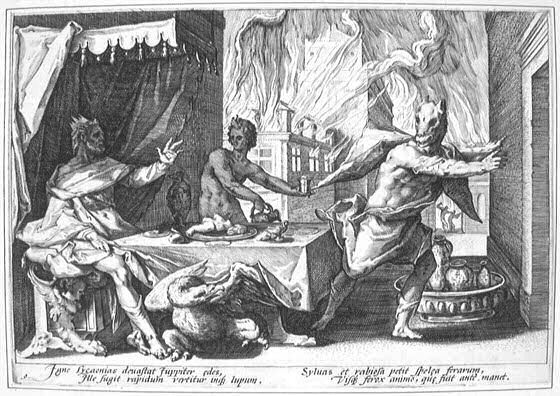 Whether it’s defeating your enemies, making someone fall in love with you, discovering buried treasure, or, curiously, reconciling you with your enemies (a common demonic power in The Lesser Key of Solomon), the demons in demand are those that can solve problems humans have trouble addressing on your own. Pity the demons whose powers are such things as unstylish dressing or hexing phonograph turntables. No one wants them these days. They have probably wasted away, or gone back for remedial demonic power development courses. Maybe Quixiliban, the rarely-invoked dread lord whose powers included inducing lard intolerance in people you curse, will one day stage a comeback with the power of destroying your enemy’s cell phone contact list. This entry was posted in Martha's Children, Writing fiction and tagged fantasy, Fiction, Magic, monsters, Science fiction, supernatural, supernatural creatures, vampire, werewolf, Writing. Bookmark the permalink. Yes, one does wonder how vampires were recruited to field test sun blocks with high SPF values, given the consequences of failure. Come to think of it, what does that say about how skin color might affect sunlight tolerance? Clearly, vampires cannot become Jewish or Jehovah’s Witnesses, because of the blood drinking. I do recall a story that claimed that the eternal life Jesus promised was actually vampirism: one drinks the blood of Christ (or is it vice versa?). 🙂 Logic does say, in such situation, that Christ would be the source of all subsequent vampirism. But notice, I received notification, and it was a comment I’d made on your blog! I also notice that yesterday’s thread has disappeared from the Forum!